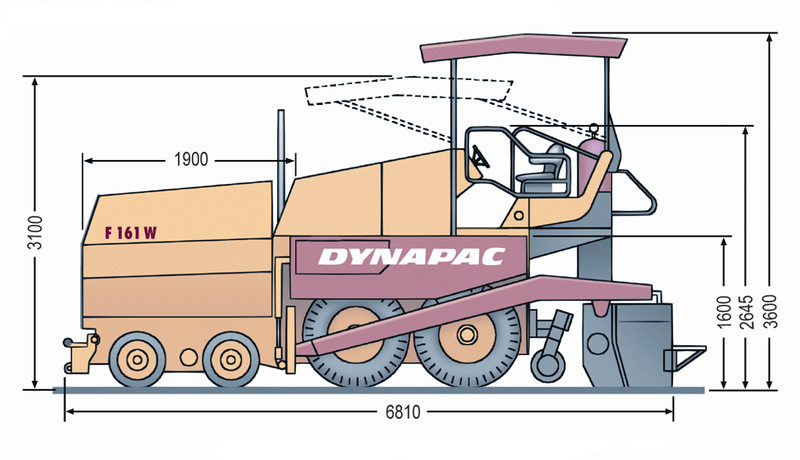 The F161W is the biggest machine type of the Dynapac wheeled paver range. 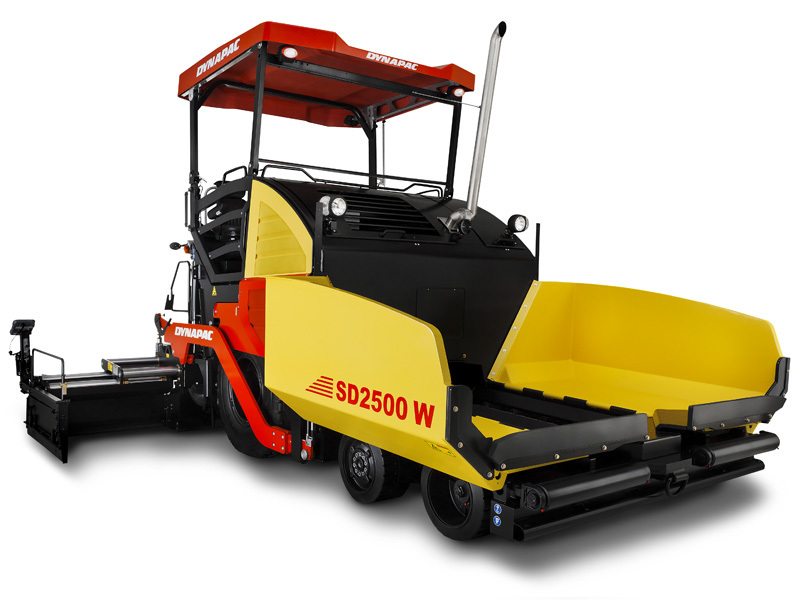 This paver convinces by its high traction force created by the optional 8-wheel drive together with the standard differential lock and the anti slip system for the hydraulically driven front wheels. With a maximum working width of 9,0 m and a hopper size of 5,7 m³ combined with a transport speed of 16,5 km/h the F161W is the flexible solution for laying country roads or highways. Eager to see the schematics of F161-W?